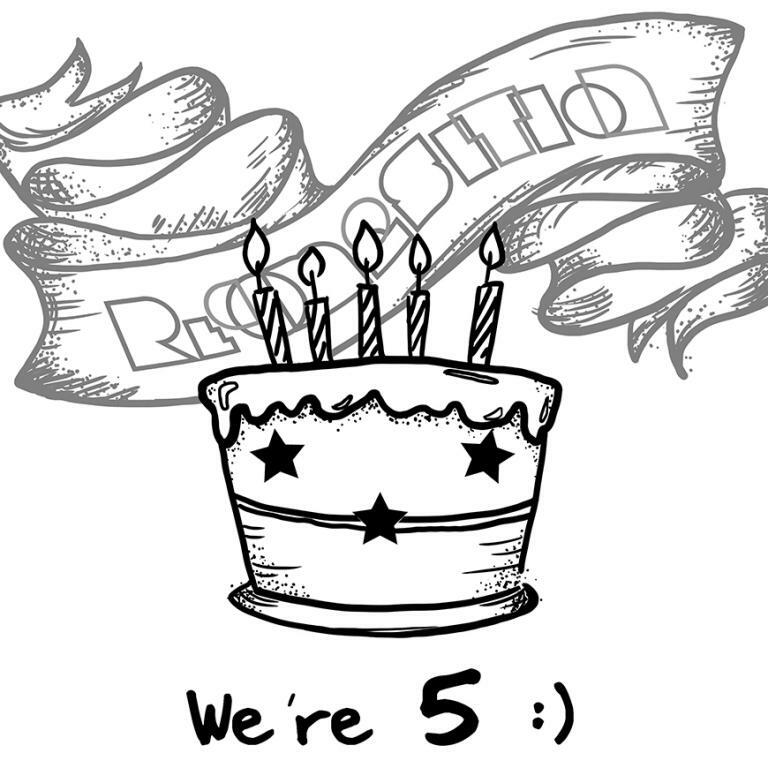 We turned 5! We’ve been working hard to look good for our birthday, so we’re launching a new site that looks all caught up with the times! There’s still a lot of work to be done but we couldn’t wait to share and celebrate with all of you, our readers, contributors, and our own fellow editors. Below you’ll find a piece written by John O’Reilly, and Monica Kostas that looks back on the past 5 years, and looks forward to another great 5 years for Recomposition. Writing down a customer’s order in shorthand for the line cook, reading a manual for a new piece of equipment, speaking in front of a class full of students hoping that they’ll at least nod in understanding. We experience these moments at work, and when we get home we shorthand notes to our brain in the shower, while we cook, or over a beer, and we digest in small ways all the things we felt that day–all the interactions we had with customers, coworkers, and bosses. But what happens when we take a moment to dig deep into those daily experiences and try to extract lessons from them? It’s not that words alone can change the world, but the people who have those words can do mighty things. Those of us involved in Recomposition believe that it’s worth taking the words of working people seriously. It’s quite a simple idea and we’re hardly the first to attempt to do it, but it’s an important one. Through our stories, we hope to encourage you to write your own. Write about real life. Write about the bone-numbing sensation that pervades your hands after a shift in the dish pit. Write about your boss’s eyes as he looks through you like you were just a ghost. Write about dreams where your family eats dinner in your house together, content to be with each other for once. Write about holding a patient’s hand while she dies, alone. Write about the fear and pride and gut-wrenching excitement of confronting your manager, the words stumbling out of you like drunks in search of a place to sleep, refusing to serve one more goddamn customer until your friend gets her job back. Write about your co-workers having your back while the serving line gets longer. Eyes wide but feet firm. Write about how others can do the same thing at their workplace and how you did it at yours. Write about what life is like under capitalism and what we can do about it. We hope that this project serves as a time capsule. One day, far from now, when we sit with great-grandchildren and try to explain to them what life was like in that distant time and society that we came from, we can point them here. We can tell them that these are the voices of those who worked, or were fired, or were rehired, or were broke, or were just making it, but stayed up nights triple-checking the checkbook to make sure that everything balanced. Here was a place where we talked about what it meant to be a worker, in all its broadness and depth. We talked about our movement, about what it could be and what it is, how it falls so short of its aims and how it surprises us with its creativity. The cast was rich with characters. Aloof bosses, manipulative supervisors, nosy managers. Hedging bureaucrats, suspicious officials, brutal cops. Nervous coworkers, supportive friends, dedicated comrades. We may never have the chance to talk about this society to those who’ve never seen it, but hopefully the stories of those who built the new world will remain. As Recomposition celebrates its fifth birthday, we hope that we can keep churning out stories like Phineas Gage’s accounts of postal worker campaigns that gave us years worth of organizing lessons, Invisible Man’s chronicles of racism in a land that didn’t speak his language, Liberté’s story of working at Starbucks literally around the clock and -ironically- fighting to stay awake, or S. N. Nappalos’s heart wrenching anecdotes about being a nurse lost in hospital hallways fighting the haze of being severely overworked and deprived of basic human needs. These and several other contributions have shown us that we chose a hard path, but through their battles we’ve also been inspired to continue fighting for lives worth living. Over the last 5 years, we’ve managed to post hundreds of these snippets of working life, and we can only hope that we continue to inspire people to write, and show that history is not just for academics, and professional writers, but for us. We weave the fabric of our lives with our everyday stories of fright, joy, desperation, and our lifetime stories of organizing struggles, of victories, and losses. So write. Write about your life, about organizing, about your triumphs and dumb mistakes. Write about what we can do better and what we’re doing so well. Write if you love writing, and write if you’ve never written before. Especially, write then. Nobody else is going to do it for you and everyone at the party is waiting for you to say something. Your turn, fellow worker. Let me wish you a happy birthday. Happy birthday! And that's a really great bit of writing, about what we do and why we do it in terms of building radical, independent media about the everyday lives of working people. Thanks and keep up the great work for another five years at least! I'd be curious to know how many readers you've had over that period on your site, and what have been the most popular texts etc?